When I had my first consultation with Dawn Bennett, I immediately knew how very fortunate I was to find someone with all the qualities I was looking for and the personality to honestly and firmly consider all the factors without cutting corners or compromising personal or professional integrity. Read MoreDawn takes the time to ask all the right questions, encourages you to ask questions yourself and very clearly explains all your legal rights/obligations and the different options available, with focus on least acrimonious approach. Her legal briefs, correspondences and documentary submissions are of such a consistently high quality that I am truly amazed. The care and attention that she extends to my case shows a total understanding that there is no one size fit all solution to your unique situation. A divorce is never a frivolous exercise but a serious life changing event, I am very blessed to have Dawn as my legal counsel through this very traumatic transition. I am tempted to say never, since no one should be so unfortunate, but I will safely say, should I ever have to go through this experience again, I would be a very happy return client. Dawn helped make me become stronger woman, she helped me become more confident and because of Dawn, I can take my kids to school every day, I have a home to live in, I can take care of my own life, and even have time to volunteer to help others. I'd been separated for a while before I found Dawn Bennett. It was a huge step to hire a lawyer but I felt really comfortable with her. She understood I wanted a safe environment for my kids and my (now ex) husband. Read MoreI know I would have had pressure from other lawyers to "get the most for myself!" but that was not the case with Dawn. She allowed me take a more peaceful and gentle approach to the divorce. She understood when there were certain things I didn't want to do but helped me to understand what HAD to be done under the law. She is very professional and knows her stuff!!! What Dawn does is important to the community and I support her 100%. I was in the process of a messy divorce with a lawyer I just couldn't connect with. The situation I was in was abusive and getting worse. Dawn knows the law and what needs to be done. She explained step by step what had to happen and why each step had to be taken. Read MoreYou can't skip steps...as much as I may have wanted to at times. In fact, to save fees, she backed off for 8 months at one point knowing that nothing was going to happen anyway...many lawyers would have capitalized on the "messiness of the divorce" to make more money! I regard Dawn as a friend and an excellent lawyer, she understands the law, she is organized and exemplifies professionalism! Dawn is a gifted, compassionate and generous person. She made it her goal to keep my cost down as much as possible. It's good knowing you're with someone talking the same language, who is not motivated by personal gain. I would recommend her without any hesitation... in fact, I told a friend of mine about her when he was facing his own divorce and he was every bit as satisfied with her services and the outcome. For many married couples, the matrimonial home is their primary asset. It holds a multitude of memories and provides shelter and safety for the whole family. This makes the matrimonial home a key element in the division of property when there is a marriage breakdown. With a wealth of experience in divorce and family law, Dawn Bennett assists couples in finding a negotiation-based resolution, in dealing with issues that relate to the matrimonial home. The Ontario Family Law Act defines “matrimonial home” as every property in which a person has an interest and is or was ordinarily occupied by the person and his or her spouse. This could be any type of house, mobile home or condominium. Multiple locations can be considered matrimonial homes, so long as they meet the definition of a matrimonial home. Original ownership is irrelevant – It doesn’t matter who purchased the property or held title prior to the date of marriage. Once the home becomes the family residence, it is classified as the matrimonial home. 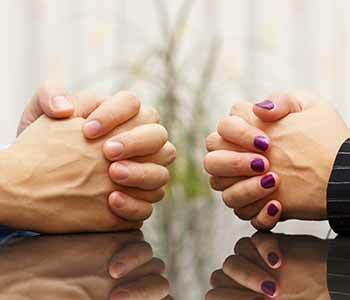 Equal entitlement – Both spouses are equally entitled to possess the matrimonial home upon separation. Neither spouse can prevent the other from having access (such as changing the locks). Division of property – Typically, each party may deduct the value of property he or she brought into the marriage. This is not the case with the matrimonial home. The full value must be shared. Consent to sell – Neither spouse may attempt to sell the home or incur a mortgage or encumber the property in any form without the knowledge and consent of the other party. A court order can be obtained if consensus is not reached. Because the matrimonial home is usually a couple’s most lucrative asset, it is often a point of contention between the parties, with potential for delay in finalizing equalization or a divorce. Book an appointment with Dawn Bennett today for a consultation on how to protect your interests in your matrimonial home. Bennett Law Chambers has a strong background in serving clients’ various needs in the area of family law. We are committed to helping our clients protect their interests, and can see you through your legal matter. Our Mississauga law office serves the areas of Oakville, Brampton, and the Greater Toronto area. Contact Bennett Law Chambers at (905) 890-0474 to arrange a consultation. Bennett Law Chambers located at 151 City Centre Drive, # 201, Mississauga, ON L5B 1M7.